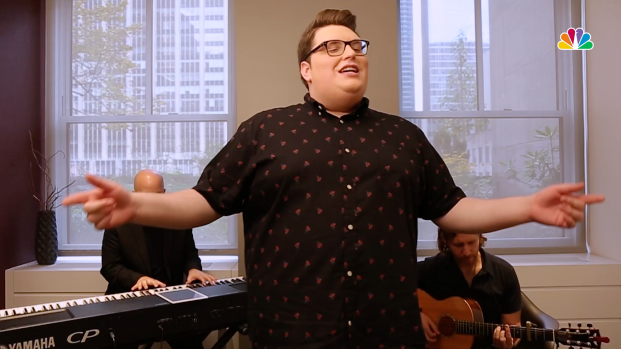 Smith stopped by 30 Rock to perform three songs off his new album and spoke about what life's been like since taking home top prize at "The Voice"
It's been three years since "The Voice" season nine winner Jordan Smith stunned audiences across the country with a powerhouse delivery and a harmonic range that defies proper description. Now... he's ready for his encore. This week the Harlan, Kentucky, native debuts his second full-length album, Only Love. Smith says his sound has matured as he's taken a stronger interest in songwriting this time around, resulting in a more personal, intimate production. He co-wrote six of the album's 12 tracks. Smith stopped by 30 Rock to perform three hits off his new album and spoke about what life's been like since taking home top prize at "The Voice." 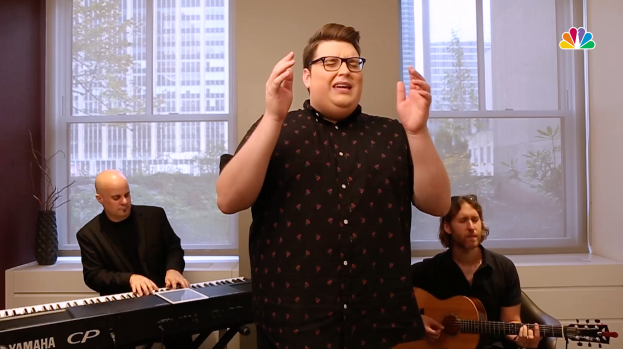 "The Voice" season 9 winner Jordan Smith performs "Please," from his new album "Only Love." How has your sound progressed from your first album to this sophomore effort? Smith: I think if you listen to the album you can definitely hear a progression in the sound. For me this was just a matter of slowing down, taking my time and making this album perfect. I've worked on it for almost two years and I co-wrote about 50 percent of the album, so its something that was different for me from what I did on "The Voice" or what I did on my first album... to kind of flex that songwriting muscle. And I think you can hear that in the sound... it's more personal to me. I found ways to make it my own signature thing and not just a karaoke version of another song. 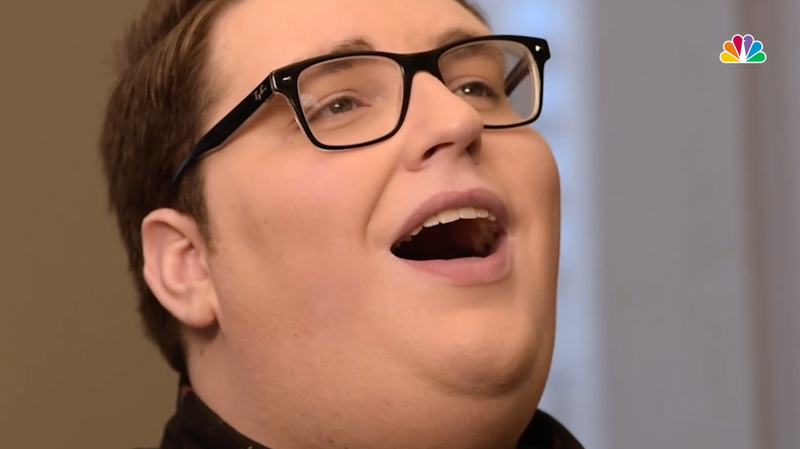 'The Voice' season 9 winner Jordan Smith performs "End in Love" from his newest album, "Only Love." Are there any particular themes that carry the album? Smith: For my entire career, but especially on this album, it's been important for me to have a message in my music. I think what I do inspires, encourages and uplifts people. I didn't necessarily write every song with that in mind. I did what came naturally. But it turns out a lot of the songs ended up being hopeful and being something that a lot of people from different walks of life can relate to and I'm really happy about that. What's life been like for you after winning "The Voice" in 2015? Smith: It's been massive change. The biggest thing is I got married in 2016. We've been together forever so it was just about time. Beyond that it's been a ton of working. I started working on this album in the middle of 2016, so it's been two years. Since "The Voice" this has been my life's work. It's been a ton of traveling, a ton of writing music and just kind of finding my way and my path in the industry. How are you finding juggling married life with your professional career? Smith: It's definitely interesting. I think we're just now settling into a groove and figuring out how it works and being happy in it. It definitely took some getting use to but for us it's always super important to communicate. She's a really big part of why I do what I do. I love being on the road and I love working. But I do it so I can have a family and I can support us. My wife was inspiration for the album and an inspiration for all the songs and she is just kind of my inspiration to keep going.